During my education travels recently I have met a lot of Privileges members who are unsure of what Privileges Holiday Extras is, and how to use this great benefit. You pay for it with Privileges Qualified Credits. There are resorts located Worldwide. The picture below is one of the many weeks available as I write this. It is 2000 Credits for a Studio Apartment for a WEEK!!! But it may not be available for long! Beverley Hills Heights – Arona, Tenerife, Canary Islands, Spain. Well hopefully now I have your attention! So here are some things you need to know. Privileges Holiday Extras is a benefit of the Privileges by Wyndham Membership and is available to All Privileges tiers. The accommodation is “last minute” accommodation and has availability only up to four months ahead. And hey – that’s long enough to plan a holiday so make sure you take advantage of these great deals. The deals will change regularly; so check regularly! 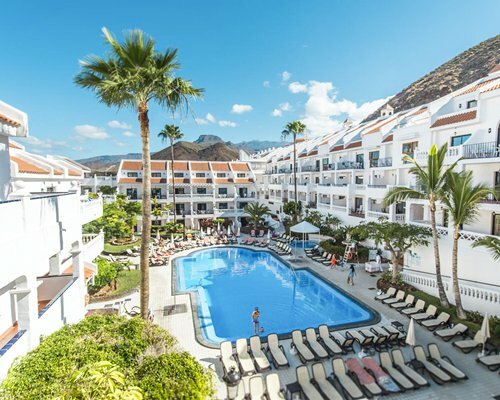 These are non-WorldMark properties and therefore I highly recommend doing a little research before you make the booking to familiarise yourself with the standard of the Resort, as there can be varying standards throughout the different properties. You can only take what’s available; which means you cannot change the offers – it is always going to be 7 nights and will be specific dates. Some resorts have multiple dates available or multiple apartment sizes. A housekeeping token or booking fee will apply. (The fee applies if you don’t have a token). If you cancel you will get your credits back as long as it is 22 days or more before check-in. If you cancel 21 days or less before check-in you will not get your credits back. So don’t do that! It’s a terrible idea!!! Click on “More” Under the Privileges Holiday Extras heading. Then you can begin searching for available weeks. Once you have found something – you just call Owner Services on 1800 850 160 (and press option 1) to make the booking – You cannot book online, no matter how hard you try, its not possible. Here’s a quick video to show you how easy finding available weeks is! Once its booked we will send you a confirmation letter with the details. I think its time for all Privileges Members to know about this great benefit – its one of my favorites. Click here to view the Owner Education website and see if there are sessions coming to a town near you, or view our upcoming Conference Call sessions. Anne is an Owner Education Consultant for Wyndham Vacation Resorts Asia Pacific. Her passion is training; whether it be her 3 horses, or the wonderful WorldMark South Pacific Club Owners. As well as sharing her knowledge in a face to face group sessions, she likes to help Club Owners maximize their Ownership by providing useful tips and hints about the WorldMark South Pacific Club on MyClub with fortnightly posts. This one particular facility is what I “sold” to a Wyndham owner who was not happy with their investment but changed their mind when they saw their limited 6000 credits could still get them some worthwhile vacation time in locations that best suit them. That was 4 years ago and that page is now practically burnt into their computer screen.